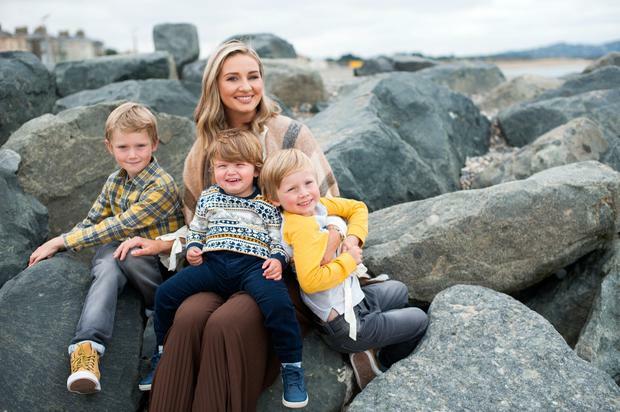 TV star Anna Daly said she's "definitely not chasing the girl" and couldn't be more content with her family of five. 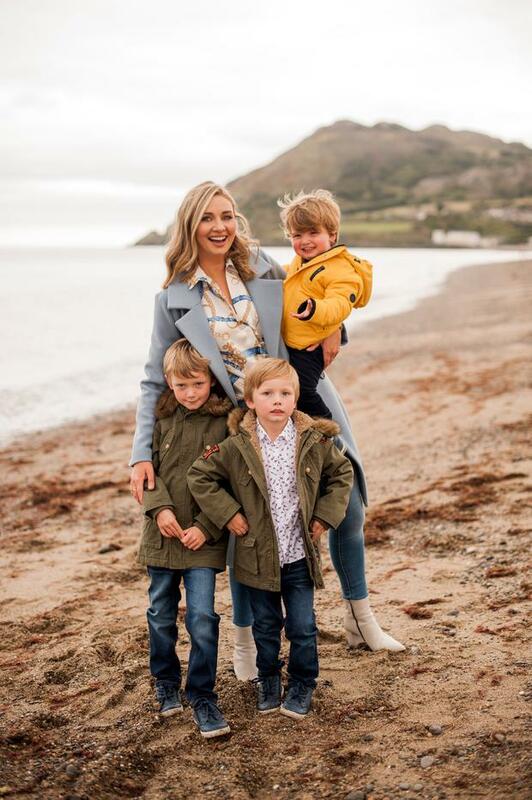 The Weekend AM host said she surprised even herself by having three children, a house booming with boys James (seven), Euan (five) and Rhys (18 months) something she never expected when she walked up the aisle with husband Ben Ward 10 years ago. "Has life worked out the way I planned? If someone had said to me back then, 'You're going to have three boys', I would have been like, 'That's not my life'. I grew up in a house where it was just myself and my brother. I never would have thought I'd have three children," she told VIP Magazine. "I feel like I have a gigantic family. I feel there's not enough time, energy, or money, for a fourth child. I couldn't be more done and I am definitely not chasing the girl. There may have been two moments in my time as a mother when I look at a little girl somewhere and went, 'Aw, that would be lovely'. But there's certainly been no pangs beyond a few seconds. I'm happy out and I know how lucky I am." To celebrate her Tin anniversary, the couple flew to San Sebastian in Spain for a culinary feast in the Basque region, which her husband organised. "It's no bad thing I suppose that it doesn't feel like 10 years! Ben would probably say it feels like double that," she joked. "But honestly, I feel like it all happened in a heartbeat. We've had an eventful decade with three boys coming along, a career change for me and a couple of house moves thrown in. "I hope the next 10 are as interesting! But yes, it was important to mark it. Ben sorted it all and he had some really nice restaurants booked and a nice food trail and he absolutely put the thought in, which I hadn't, and which I very much appreciated." 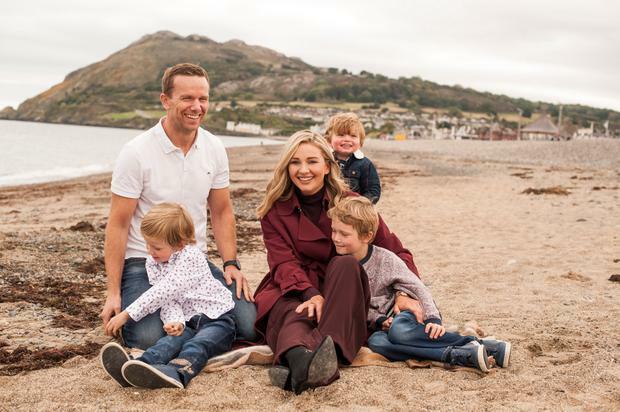 Since pitching the idea of an Ireland AM extension into Saturday and Sunday to TV3, now Virgin Media, a number of years ago, her dreams have become a reality as she anchors the programme alongside actor Simon Delaney - and it allows her to balance her schedule to minimise the 'mummy guilt'. "Monday to Wednesday are my days at home to sort the house and catch up on stuff. by the time Thursday comes and I'm going to work. I'm running out the door, delighted! I feel like I've a sense of what is going on in the kids worlds, i.e., the tennis money is sent in and the uniforms are clean-ish. Nothing is perfect, but I go to with with a relatively clear conscience," she says. As for the idea of 'having it all', she says her exercise regime has fallen by the wayside as she focuses her energy on work and family. "I do a bit of everything but probably not enough of anything," she explained. "I need to go back to the royal classes I was doing during my pregnancy on Rhys. And I need to go back to the gym but my membership has expired. I do feel like I get plenty of exercise running around after three kids! But absolutely I could do more, it's just about carving out the time. "My husband does CrossFit every morning and it's a complete cult. He goes at 6am four mornings a week but it leaves me in a situation where if I said, 'I have not time', he will say, 'Well look at me!'"